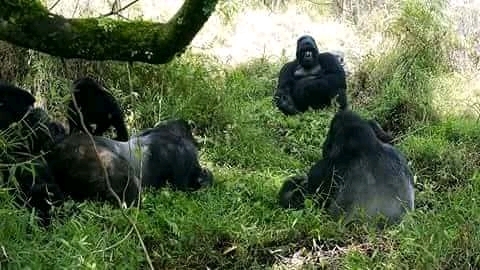 Mountain Gorillas on the ground picking ticks and other body hygiene activities. Late evenings gorillas clean there bodies and get ready to sleep. Visit now and be the one to say goodnight to gorillas in the wild.